The days of teething babies are over in our house as we know it but oh, the memories we have are ones we won't soon forget. One of the worst feelings in the world being a new mom is hearing your baby crying because she is cutting teeth and there isn't much you can do although you've tried just about everything to sooth her. 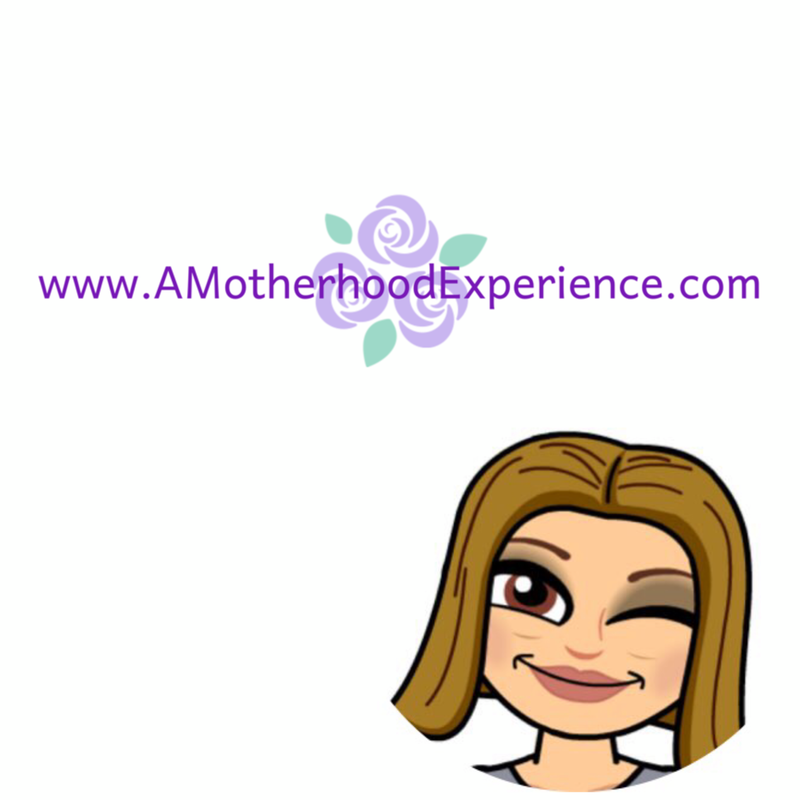 When I was asked to take a look at TeethEase teething jewelry I thought back to our own kids, when they were at the teething stage of babyhood. The nights we spent trying everything we could as new parents to make them more comfortable and all they could do was cry. It's so heartbreaking but determined as we were we tried just about everything until they finally passed the stage. We were not ones to use numbing creams or things like that, frozen or gel like teethers didn't work - I even find those a bit too cold for little hands. I think they made the most out of chewing on everything else instead - including jewelry. TeethEase are teethers for babies that also serve purpose as a fashion accessory for mom. I did not wear much jewelry when mine were babies for the simple fact that babies put everything in their mouths. Jewelry like necklaces and bracelets always ended up broken not to mention the germs! I would have loved to have something like this as a new mom! TeethEase have an easy to grasp, soft, smooth surface. They are made from hypoallergenic, medical-grade, FDA approved silicone. Each one is free from phthalates, BPA, toxins and harmful chemicals. The necklace that accompanies the pendants, feature a break-away clasp that releases with any force. They come in various colours so they match various styles from every day to office days! TeethEase come as a bangle, a necklace with a pendant and new Rock-ease! 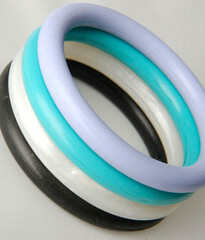 Rock-ease are the newest addition to the TeethEase line. 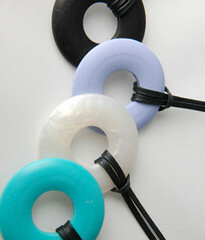 They look like your typical "rock" style fashion necklace but are made with the same soft, smooth material found in TeethEase teething jewelry. The different shaped "rocks" give baby a different texture while chewing on them. 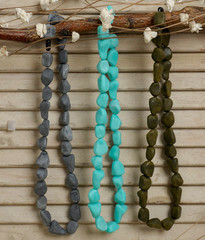 TeethEase teething jewelry would make an excellent gift for any mom with a teething baby or mom-to-be. I definitely will be adding this to my next baby shower gift bag! Visit www.myteethease.com for more information about TeethEase and to check out the entire line of TeethEase teething jewelry! You can follow @MyTeethease on Twitter and Like them on Facebook too! Disclosure: Posted by AME on behalf of TeethEase. We received complimentary product for review purposes. Opinions and comments on this blog are those of AME. I know someone who would benefit from this. I would definitely benefit with one of these. I just had a little girl March 7th so it wont belong before she's teething. My 5 month old daughter has been so cranky lately & I think she's teething! I'd love to win a TeethEase product for her wee mouth - poor baby! My son and I would benefit from this!!! His teeth are causing him so much pain :( He would love chewing on the rock-ease. my husband and I are trying for baby number 2 and I wish I had one with the first one. I think this would help us with the next!! Tweeting as Tooth Fairy @toothfairycyber I know lots of my followers will benefit from this! My son (who is teething right now) and I would definitely benefit from this! Have you tried Amber Teething necklaces? They work like magic! Babies don't even need to chew them. They were just meant to be worn.